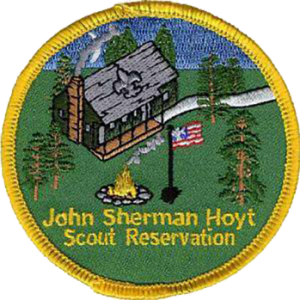 The John Sherman Hoyt Scout Reservation is located on 170 acres of pristine forest and fields in West Redding, Connecticut. This is primarily a tent camping facility, with two lean-to sites (4 and 6 lean-tos, respectively). The camp also has three pavilions with picnic tables, three latrines, a heated training cabin with kitchen and bathrooms, and a heated cabin for sleeping. Trails circumscribe the camp which provide for rigorous hikes and up close encounters with myriad wild creatures and native trees and plants. An orienteering course is available for those looking for a more challenging adventure. Electrical service and potable water are available adjacent to each pavilion to the south field (completed in 2017 and 2018). The camp offers a rifle range, archery range, as well as a 9 hole disk golf course. Hoyt is an excellent weekend destination as well as a departure point for many off-camp experiences. To check availability and/or make reservations for most camp facilities online click here. For questions or to reserve the rifle range, contact Camping Registrar Carolyn Cruson at 203-951-0237 or carolyn.cruson@scouting.org. AND…the Camp is maintained by an active Campmaster Corps. To learn more about the Hoyt Campmasters – or to become a Campmaster, contact the Camp Ranger. 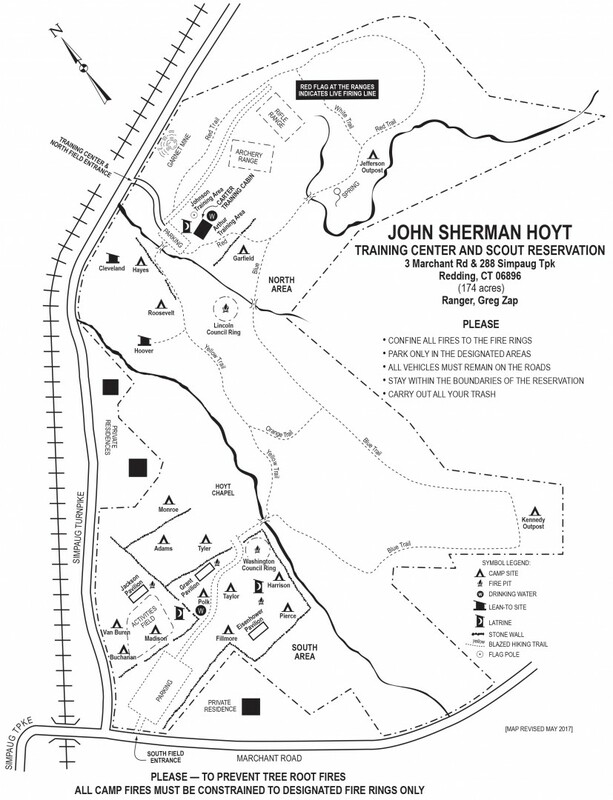 Disc Golf at Hoyt – Rules and Regulations . History: Who is General Carter and Why is His Name Over the Fireplace in the Cabin?